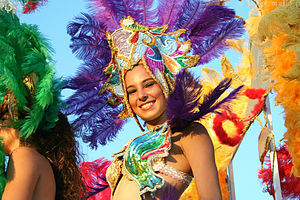 Click here to read about “Carnaval de sol”. Watch this video about Canada Day at Canada Place. Click here to read about the top 10 Canada Day Events. Click here to find other books by Robert Munsch. So few students . . . There are so few students in class today that I feel very sad and disappointed. I have such a small class today that I feel like crying. Click here to watch a CBC special program about Canada. In this clip, CBC asks Canadians the difficult question, “What is Canada?” After you watch the video, try to write and say sentences about Canada using “not only . . . but also”. Watch this funny video about Maz Jobrani, an Iranian-American’s experience growing up as an Iranian immigrant in America. Click here to watch a funny presentation on TED.com. Maz Jobrani is a Iranian-American who tries to break stereotypes by making jokes. This is a great website because you can read the transcript in English as well as many languages.